It’s time to shop for the gamblers in your life! What do gamblers like to get? – Jackpots, Progressives, Bonuses, Comps, FRB (Free Room & Board), Free Dining, Free Slot Play……….Ok, so you really can’t buy those things. Tomorrow in our “Monday Links” weekly post, we will give you some fun links for Cyber Monday and for all your Christmas shopping for the gambler in your life. Today, its all about gift suggestions you can buy. Here we go…..
Casino Gift Cards – most casinos offer gift cards. These gift cards could be used for such things as dining, clothing, drinks, show tickets, but they usually can’t be used for gambling purposes, such as slots, table games, or any gaming wagers and are not usually redeemable for cash. Some ARE redeemable for FreeSlot Play. A Framed Print – For anyone who loves Las Vegas, frame a picture of your gambler’s favorite hotel, or view of Las Vegas. Below is an example from FramedArt.com “Las Vegas Skyline at Night.” A picture of the Las Vegas Strip, or Downtown Las Vegas. Maybe a historic canvas, or even one of “Old Blue Eyes” himself, Frank Sinatra. If you have that picture of his/her first jackpot or royal flush, frame it in a small little frame for a stocking stuffer. 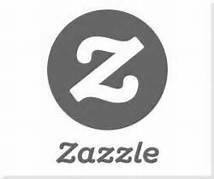 Jewelry – yes, from cuff links and money clips, to ear rings and necklaces. Ever heard of Etsy? They are a newer company that has an array of gifts for gamblers, including lots of designer “bobbles & beads” for the well dressed gambler of either gender. They also have patents for printing, such as a vintage slot machine on a T-shirt. Speaking of Stocking Stuffers – key chains, rewards club card holders, little hand sanitizers, smart phone charger…..anything that will fit in a Christmas stocking! Be creative. How about a roll of 5 $1 bills to tip the servers at the tables or the machines. Of course, the Scratch Off Card is a great stocking stuffer, but a little low on the creative side. Let your creative juices flow with stocking-stuffers. With many casinos offering USB power at tables and machines, a simple phone to USB connection is a great idea. Feel Good Gifts – Many of the bigger casino resorts have spas where a gift card can be purchased for a massage, or any other relaxing treatments. Give your gambler a chance to get out of the hustle & bustle of the casino and enjoy a wellness break. Foxwoods, Mohegan Sun, MGM Springfield, all have wonderful Spas. 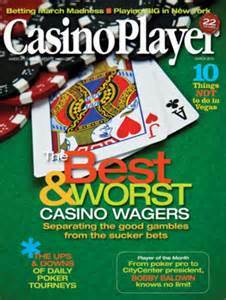 A Magazine Subscription – Casino Player covers the entire country and has articles that touch every facet of gambling, including travel and destinations. Slot Player, an affiliate of the same company, does the same, but with more of a slant toward slot players. Both can be found here. For poker/card players, Bluff, Card Player, and WPT Poker are great resources. Buying for Table Games Players / Home Poker Players – Whether it’s a steal on Ebay, an overlay at Kohls, or a real expensive RUSTIC POKER TABLE table at Americana Poker Tables, there’s a price for everyone.